Choosing the perfect wedding dress is just your first gown shopping journey. When it comes to finding the perfect bridesmaid dresses Central Illinois brides have trusted Adore Bridal, and you should too! The internet is a great resource. Along with bridal magazines, you can use the internet to browse hundreds of dresses, all from the comfort of your home. Most businesses these days have a website where you can browse their selection of bridal gowns on the web or through social media. For example, we have a bridesmaids page and we have our full selection on Pinterest. The second step for most would be to narrow down choices with a couple of your bridesmaids because you want them to like the dress so they can wear it again. However, most maids don’t end up wearing their dresses again, so this shouldn’t be your first priority. When it comes to your complete bridal look, it’s more important to make sure their dresses match your dress. If your dress is bohemian and lacy, then your bridesmaids would look out of place in formal dresses. Most bridesmaids would like a say in the bridesmaid dresses they wear, so make sure to include the girls, but only to a point. Too many opinions can make the whole process miserable, but there are ways you can try to please your bridesmaids. If your maids have many different hair colors and skin tones, you can work in a two-color palette to flatter more bridesmaids, or you can pick the color and fabric, and let each bridesmaid choose the style that most flatters their body. There are many other things to keep in mind while shopping for bridesmaid dresses, including the season, time and color theme. 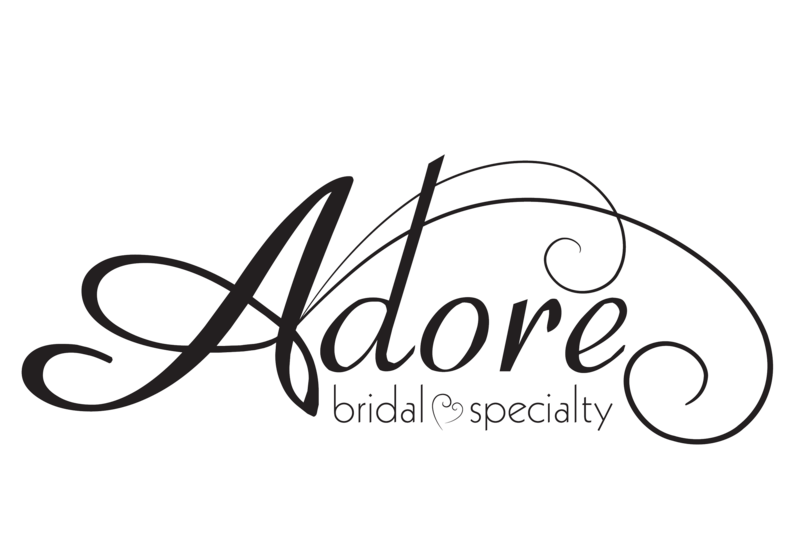 After you browse and are ready to try on dresses, contact Adore Bridal online or call us to schedule an appointment. Your Adore stylist will help you find the perfect bridesmaid dresses that you and your girls will Adore.